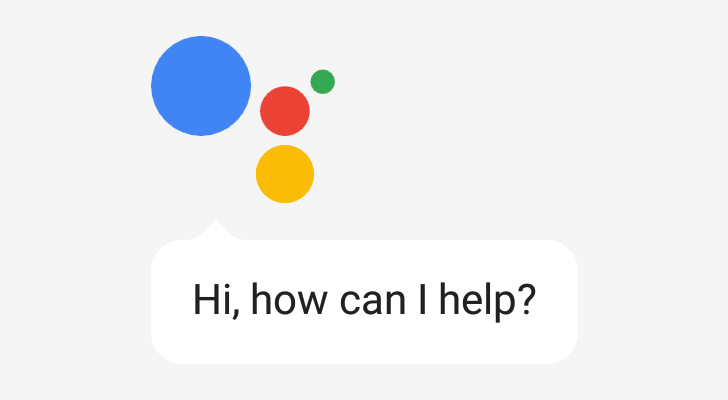 Last year's Consumer Electronics Show brought some of the first third-party devices with Google Assistant — Google's virtual helper had only been released a few months prior. This year, we saw a wide variety of devices running Assisant. Beyond the usual mix of smart lights and speakers, there are mirrors, electric car chargers, water systems, and even Insant Pots with Assistant. For your reading enjoyment, this is every product announced at CES 2019 with Google Assistant (or Google Assistant integration), in no particular order. Getting green, sustainable power when you’re off the grid should be a simple affair - but it’s often a lot easier said than done. 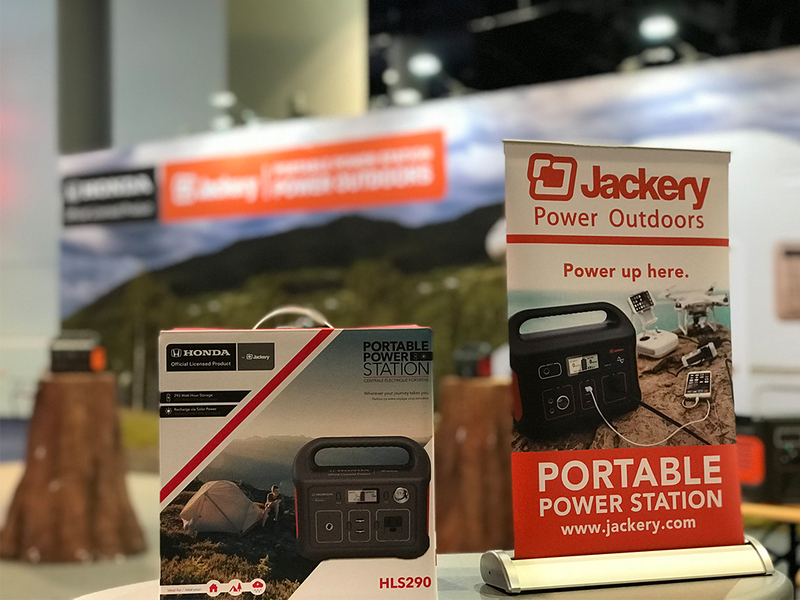 That’s why we’ve partnered with Jackery on our Best of CES 2019 awards to showcase their new Honda by Jackery and Jackery Explorer Series portable power stations. 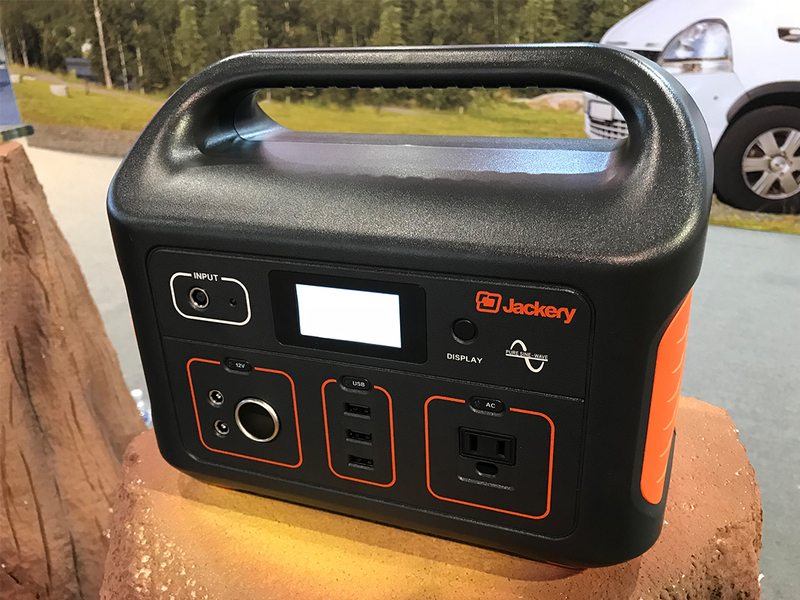 Jackery portable power stations offer up to 1500Wh of portable AC and DC power, and to get you truly off the grid, they can be recharged by solar energy alone using Jackery’s optional solar panels - that's innovation. 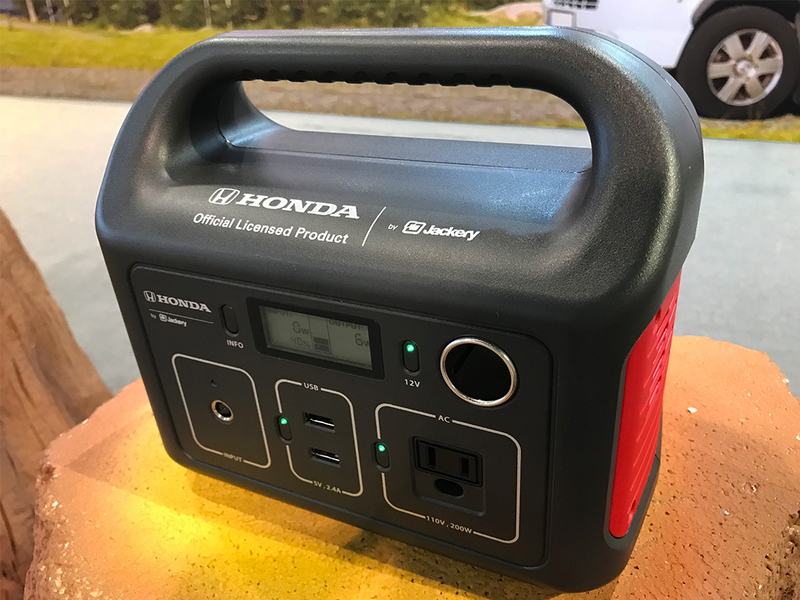 Jackery has also partnered with Honda to launch an entirely new line of Honda by Jackery portable power stations, with the same sustainable, eco-friendly approach and amazing value. 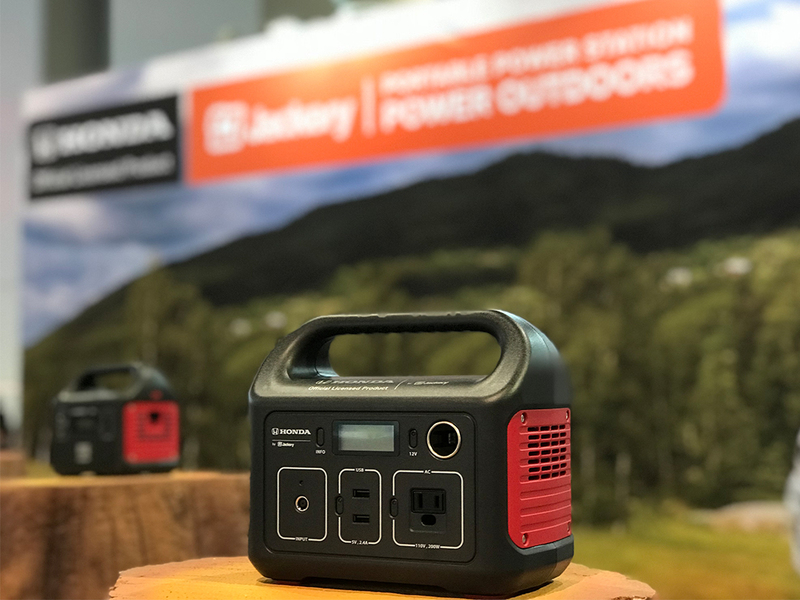 The Honda by Jackery line offers all the same great features found in the Explorer Series and will be available soon in 200Wh and 292Wh configurations. Jackery is our official 'Best Of CES' partner, and the above content is sponsored. Now, back to our regular programming. LG started off its CES announcements with a premium smart home product — the 'Styler Black Tinted Mirror Glass Door.' It's is a a steam closet, which eliminates 99.9% of germs found in clothing and eliminates wrinkles. Google Assistant integration is present, so you can ask Assistant to remotely turn it off/on, or ask how much time is left until the clothes are done. 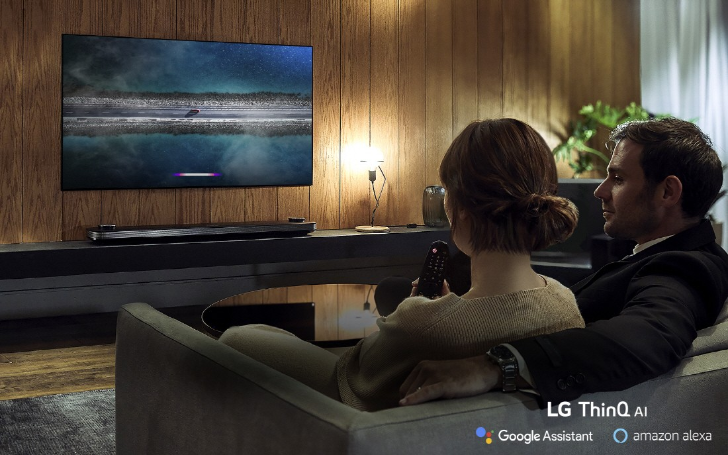 LG also revealed that all its 2019 smart TVs will feature Google Assistant alongside Alexa. The company's new lineup includes four OLED models (W9, E9, C9, and Z9) and two LCD models (NanoCell SM9X and SM8X). More information is available in our dedicated post. LG announced a premium soundbar with Chromecast support during last year's CES, but this time, the company has built soundbars with the entire Google Assistant. The new products are built in collaboration with Meridian Audio, and feature support for DTS:X and Dolby Atmos. They can be mounted on a wall or placed on a flat surface. There is definitely no shortage of smart Wi-Fi outlets right now, but more options can't be a bad thing. 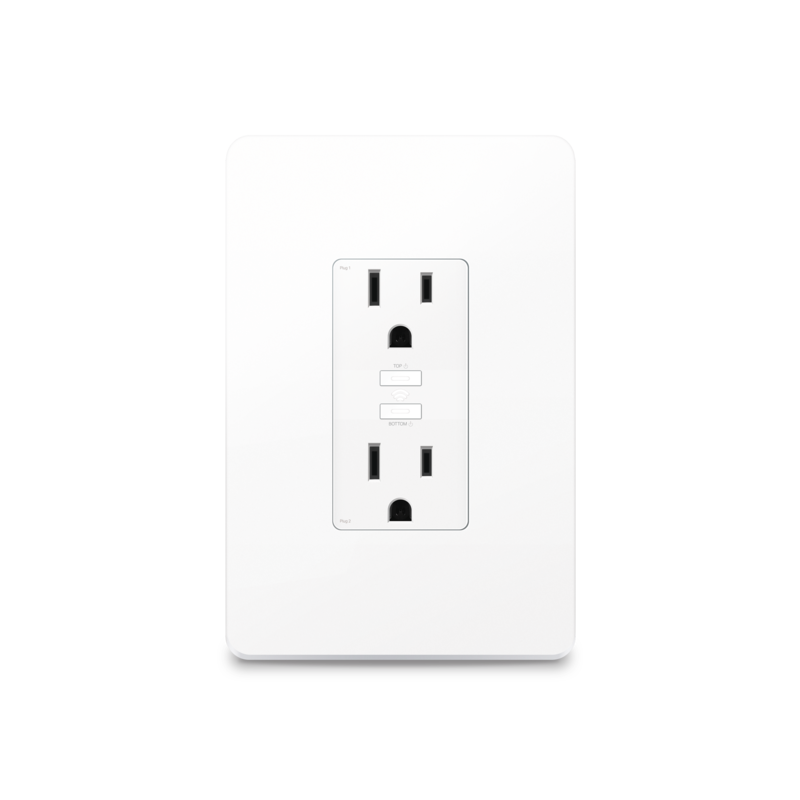 D-Link announced two smart outlets at CES, the Indoor Plug (DSP-W118) and Outdoor Plug (W320). 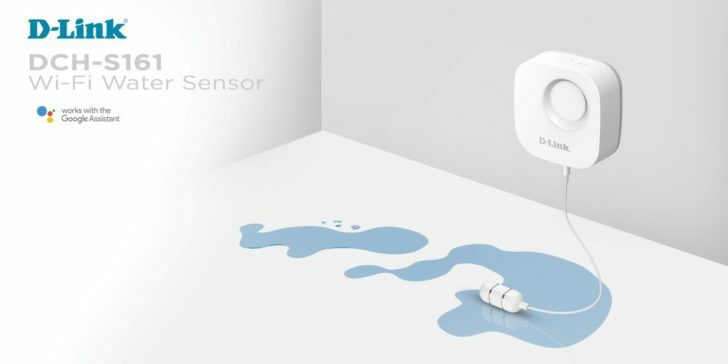 The company also revealed a battery-powered smart water sensor (DCH-S161), which can detect leaks along a pipe, under a sink, or anywhere else you place it. D-Link claims this is one of the first water sensors compatible with Google Assistant. D-Link says the water sensor will cost $49.99 and will go on sale Q1 2019. The two smart outlets will be available in Q2 2019. More information can be found in this post. D-Link also revealed its new 'Exo' mesh router series, with McAfee's Secure Home platform built-in. You'll be able to ask Google Assistant (or Alexa) to scan your local network for vulnerabilities, and "emerging threats are identified and blocked thanks to McAfee's Global Threat Intelligence." The Exo series of routers and extenders will go on sale in Q1 2019. 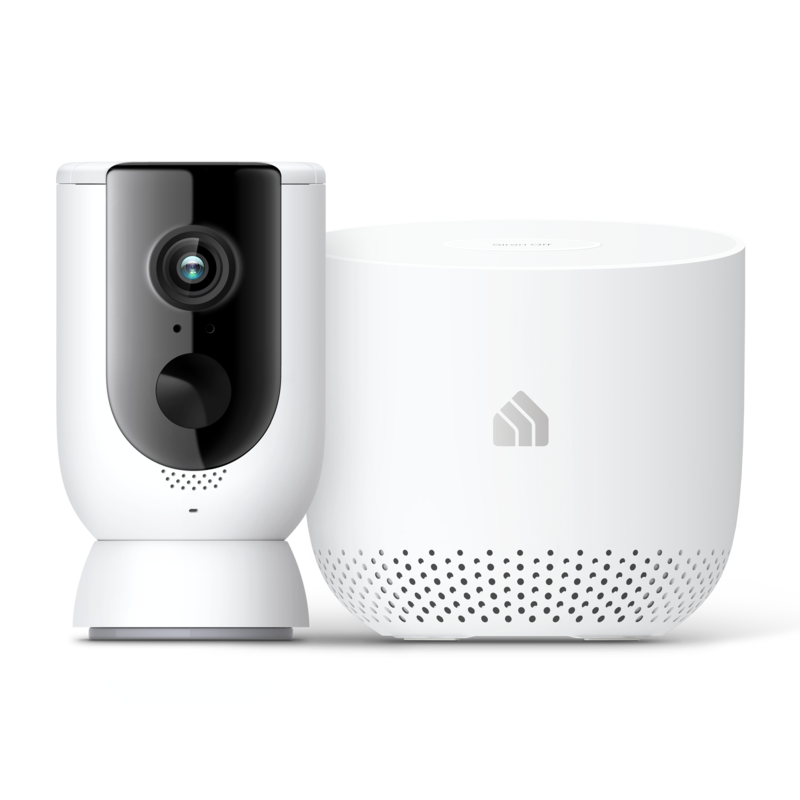 LAS VEGAS, Jan. 8, 2019 /PRNewswire/ -- D-Link and McAfee presented the latest D-Link Exo Series at this year's Consumer Electronics Show in Las Vegas, Nevada. Consisting of Mesh-Enabled Smart Wi-Fi Routers and Extenders, Exo provides value-added, premium features that make its range of products superior to average household networking devices. Exo routers and extenders feature D-Link's proprietary Wi-Fi Mesh technology, which allows users to mix-and-match compatible routers and extenders to create their network and expand their coverage according to their home networking needs. Wi-Fi Mesh creates one network throughout users' entire home, so as they move around, they're automatically connected to the strongest signal. Auto Channeling allows mesh nodes to automatically select the channel with least interference, and Auto Optimization ensures that mesh nodes automatically find the shortest, fastest path to the mesh router. With the Auto Healing feature, Wi-Fi Mesh automatically establishes an alternative path to the mesh router when a mesh node malfunctions. Wi-Fi Mesh also features easy network setup with Automatic Wireless AP Configuration, as network settings are replicated on additional units once the first has been configured. You can also see your mesh network's weak spots clearly in real time with the Dynamic Network Assistant. "We believe the Exo Series will effectively future-proof the home network with its powerful, intelligent technologies and capabilities," said D-Link Corporation President Steve Lin. "With Wi-Fi Mesh and McAfee protection, we are truly bringing the best quality network experience to consumers." D-Link Exo Routers are equipped with McAfee protection for every device connected to the home network. The McAfee Secure Home Platform automatically protects all devices connected to the network, and emerging threats are identified and blocked thanks to McAfee's Global Threat Intelligence. Advanced parental controls help ensure the safety of kids so that parents can rest easy. McAfee LiveSafe provides on-the-go protection when users are away from home. One simple app lets you monitor and control your devices so that your family stays connected and protected. Best of all, voice integration with Amazon Alexa allows for effortless, hands-free network security management. "D-Link and McAfee share a common vision of keeping consumers protected in the face of a growing number of online threats," said Shailaja Shankar, general manager, mobile and ISP business units, McAfee. "Our extended partnership with D-Link helps give consumers confidence to enjoy the benefits of a connected home in a time of digital uncertainty." The D-Link Exo Series Routers and Extenders will be available for purchase from D-Link distributors and resellers in Q1 of 2019. Klipsh, a popular audio brand, announced two sound bars with Google Assistant. Details are light about the Klipsh Bar 40G, but it does have Google Assistant built-in, a remote, and HDMI support. Pricing and availability for this specific model is unavailable. The larger Klipsh Bar 48W is "compatible with the Google Assistant, Alexa and AirPlay 2." It's not clear if that means the 48W has Assistant built-in or simply functions as a Cast speaker. The sound bar also has support for DTS Virtual:X immersive surround sound. Again, specific pricing or availability is unknown. If soundbars aren't your thing, Klipsh also has the Heritage Wireless Three with Google Assistant. As the name imples, it has Assistant built-in, and will come in various wood finishes with metal accents. Availability and pricing has not been revealed. Indianapolis, Ind. 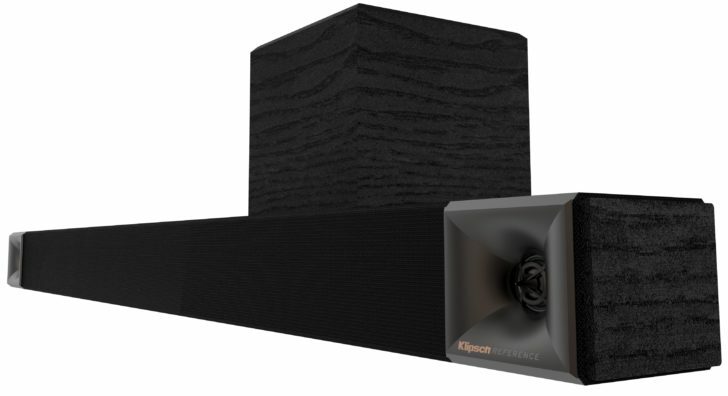 (January 3, 2018) — Klipsch®, a tech-driven audio company, announces today that it will debut a variety of innovative, premium sound solutions that are easy to use for a variety of applications at the Consumer Electronics Show (CES) 2019. New products include a family of small wireless in-ear headphones that allow people to listen comfortably on the go, and premium sound solutions that are vast upgrades to television sound — including, wireless room or portable speakers with voice command functionality, feature-rich sound bars and wireless home theater speakers. The Klipsch T5 family of in-ear headphones are small in size and weight, yet powerful in performance, technology, materials and comfort. Each model features the brand’s patented oval ear tips for ultimate comfort and an excellent seal for noise isolation and improved bass. There are four headphones in the lineup to complement a variety of lifestyles and use cases, such as the company’s first-ever T5 True Wireless ear buds, active lifestyle and professional versions, and a wired model. Prices range from $59-199 (US MSRP). Available spring 2019. 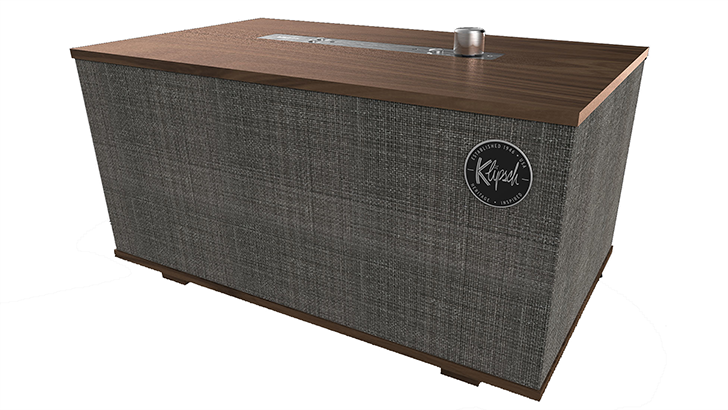 Klipsch is expanding its award-winning line of Heritage Wireless speakers. The company recently announced the introduction of The Three with Google Assistant built in and will debut new finish options, as well as smaller, portable options with similar technology, premium materials and impressive sound. Prices range from $149-$499 (US MSRP). Available spring and summer 2019. 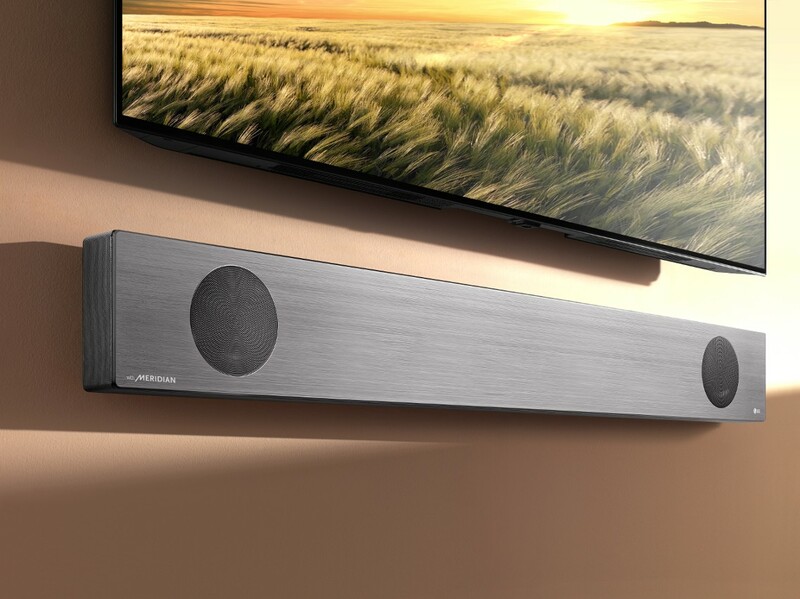 Five new Klipsch sound bars will be showcased at CES 2019 that are a major upgrade to stand-alone television sound, enhancing movies and music with clarity and realism. The sound bars are designed with quality materials and horn-loaded technology to look and sound more like the brand’s premium Reference speakers than run-of-the-mill black plastic tubes. Models range from 40”-54” in width, with power and dynamics increasing with size. Klipsch Bar 40G becomes a personal assistant with the Google Assistant built in, Bar 48W is compatible with the Google Assistant, Alexa and AirPlay 2 and includes DTS Virtual:X immersive surround sound, and Klipsch Bar 54A adds an overhead dimension of sound with Dolby Atmos technology and discrete elevation drivers. The sound bars may be purchased with or without subwoofers. Prices range from $299-$1,599 (US MSRP). Available spring 2019, with a couple models shipping this fall. Klipsch will demonstrate its latest version of easy-to-set-up and use, high resolution wireless speakers with WiSA technology. The speakers are designed for people that want the simplicity of a sound bar and high performance multi-channel capable audio from WiSA Ready TV’s, gaming systems and computers (connects through a USB transmitter). Notably, the price for a Klipsch 5.1 wireless home theater speaker system is approximately half the cost of the company’s first generation offering. Available early 2019. Klipsch will have active demonstrations of these speakers in their CES booth #13529 in the Central Hall. Visit Klipsch.com/CES for press kit and additional product information. To learn more about the Klipsch the Klipsch brand and its products, visit Klipsch.com. Flo is a "water monitoring and leak detection system", designed by faucet company Moen and Flo Technologies. It can provide information about water pressure, flow rate, and temperature within your home's water supply system. It can be used through a mobile app, Alexa, Google Assistant, and IFTTT. The MSRP is listed at $767.70, but it's currently available from Home Depot for $499.00. NORTH OLMSTED, Ohio & CULVER CITY, Calif.--(BUSINESS WIRE)--Did you know more than one trillion gallons of water can be lost each year across the U.S. due to water leaks in homes*? To bring awareness to this issue and help homeowners protect their property from water damage and waste, Moen, the leader in water experiences in the home, has partnered with Flo Technologies, a company whose purpose is to help prevent loss, one drip at a time, to launch Flo by Moen™, a game-changing smart home water monitoring and leak detection system that enables homeowners to control their home’s water from their smartphones. Flo by Moen calculates water pressure, flow rate and temperature within your home’s water supply system while using AI to differentiate normal water use from abnormal use. This enables the device to monitor and help detect water leaks and other vulnerabilities. Flo by Moen is comprised of a Wi-Fi connected device that is installed on the main water supply line going into the home and connected to a smartphone app. Through Flo Technologies’ proprietary MicroLeak™ technology, Flo by Moen can monitor and detect pipe leaks in the water supply system, some as small as a single drop of water per minute throughout the home— including behind walls or in the foundation. Additionally, the device’s temperature sensors provide early warnings if water in the home’s water supply system is approaching freezing, helping to avoid burst pipes. Flo by Moen also features FloSense™, a proprietary machine learning technology that applies algorithms to learn how the home uses water and alerts the homeowner, if and when, it senses abnormalities. In the instance a potential catastrophic issue is detected, and the homeowner fails to respond to alerts, the system can be set to automatically shut off the water to protect the home from flooding with water. The Flo by Moen app, available on iOS and Android devices, provides users with real-time information about their home’s water consumption habits and alerts to any abnormalities. Within the app, users can control how the system provides alerts and respond to potential issues. Alerts may be sent to users through push notifications, via email, or by text or phone call. The user also can turn off their water directly from the app. If the issue is critical, and the user isn’t responding, the system can be set to shut off the water automatically to protect the home. In addition to alerting users to issues, Flo by Moen provides troubleshooting tips and can recommend and contact a service professional. The system is compatible with Amazon Alexa, Google Assistant and IFTTT. Additionally, the Flo by Moen app helps users conserve water and reduce water bills with its sophisticated conservation program. At any time, homeowners can check their current water usage, compare to historical usage patterns, and set and monitor conservation goals within the app. A water damage deductible guarantee. Flo Technologies will pay up to $2,500 towards an out-of-pocket homeowner’s insurance deductible. It’s Flo Technologies’ way of standing behind the effectiveness of the system. Proactive monitoring by Flo Technologies’ experienced support team. Monitoring also includes Live Chat Support and access to Flo Technologies’ Water Concierge to answer questions about the home’s water system and help resolve water and plumbing issues. An extended three-year product warranty. Access to enhanced analysis and information about water usage, including usage per water fixture so homeowners can not only see how much water they’re using, but also where it’s being used. A Flo Technologies Certified Letter for Insurance that may help reduce monthly homeowner’s insurance costs. Flo by Moen is currently available in the U.S. and will be available in Canada later in 2019. For additional product details and purchase information, visit moen.com/flo. Stop by booth #42337 (Sands, Halls A-D) at CES 2019 from January 8-11 to learn more about Flo by Moen and to see the product in action. 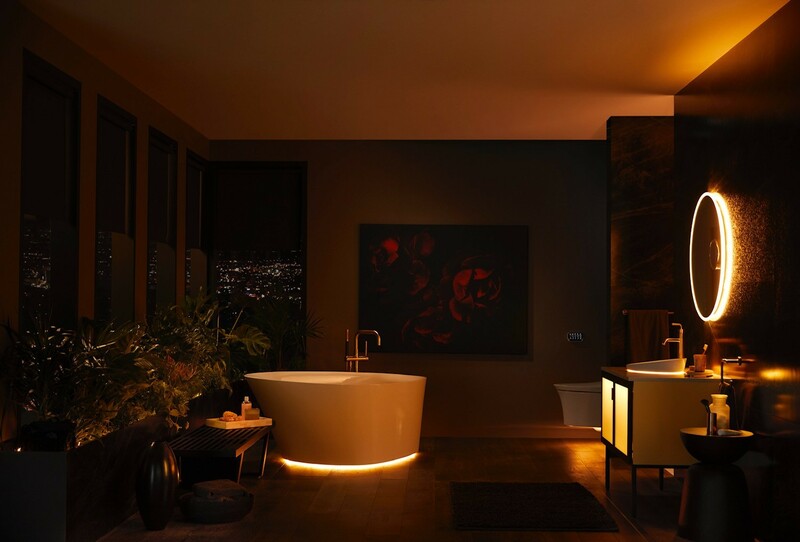 Flo by Moen will also be on display at CES Unveiled at Mandalay Bay on January 6 and at Pepcom Digital Experience! at The Mirage on January 7. As the #1 faucet brand in North America, Moen offers a diverse selection of thoughtfully designed kitchen and bath faucets, showerheads, accessories, bath safety products, kitchen sinks and garbage disposals for residential applications – delivering meaningful innovation, useful features, on-trend styling and lasting value. In addition, Moen® Commercial offers superior-performing products that can deliver lower lifetime costs for today's facilities. Moen is part of Fortune Brands Home & Security, Inc. (NYSE: FBHS), which creates products and services that help fulfill the dreams of homeowners and help people feel more secure. Moen anchors the Global Plumbing Group (GPG), which also includes several brands under The House of Rohl™ including Perrin & Rowe®, ROHL®, Riobel®, Shaws™ and Victoria + Albert™. Its other segments include Master Lock® and Sentry® Safe security products, MasterBrand Cabinets® and Therma-Tru® entry door systems. Fortune Brands is part of the S&P 500 Index. For more information, please visit www.FBHS.com. Visit Moen on Facebook, Twitter and Instagram. Flo Technologies is on a mission to prevent loss one drip at a time with its all-in-one home water supply security system. 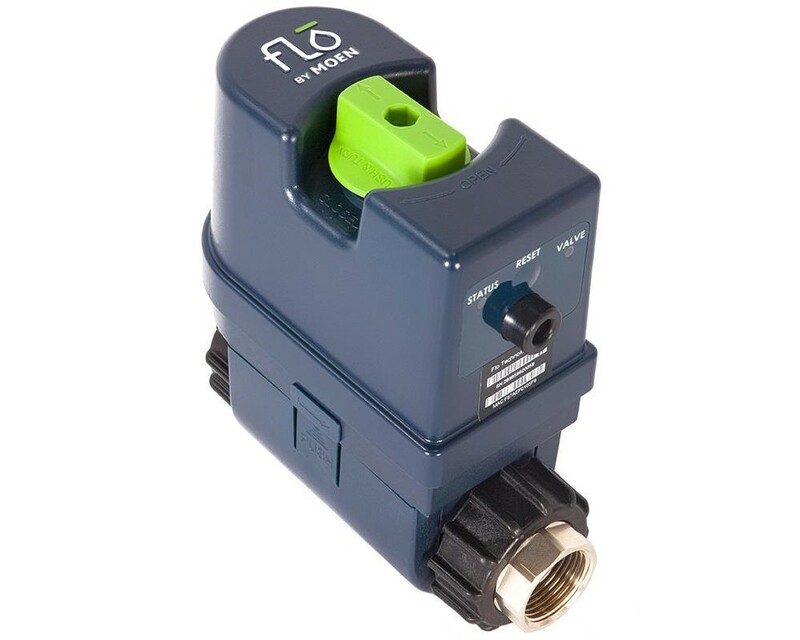 Flo’s smart leak prevention system gives homeowners the information and tools they need to help prevent water damage and unnecessary water waste proactively. While many believe their home’s water supply system is leak-free, the average household's leaks can account for nearly 10,000 gallons of water wasted every year and 10 percent of homes have leaks that waste 90 gallons or more per day, according to the EPA. With decades of plumbing expertise, Flo is committed to helping prevent this water waste and protect every U.S. home from serious water damage. Flo is so confident in its system that it offers an optional guarantee of effectiveness for up to $2,500 towards your insurance deductible via its FloProtect program. To learn more, visit www.meetflo.com. Find Flo Technologies on Facebook, Instagram, and Twitter. In one of the more surprising partnerships of CES, Samsung revealed that its 2019 LED TV lineup would support Apple's AirPlay 2 and iTunes streaming service. The company also announced that the TVs would be controllable with Google Assistant and Alexa. You'll be able to turn the screen on/off, change the volume, switch inputs, and more all with Assistant. The long-fabled JBL Link Bar will finally be released this spring, after it was originally scheduled to come out in October of last year. 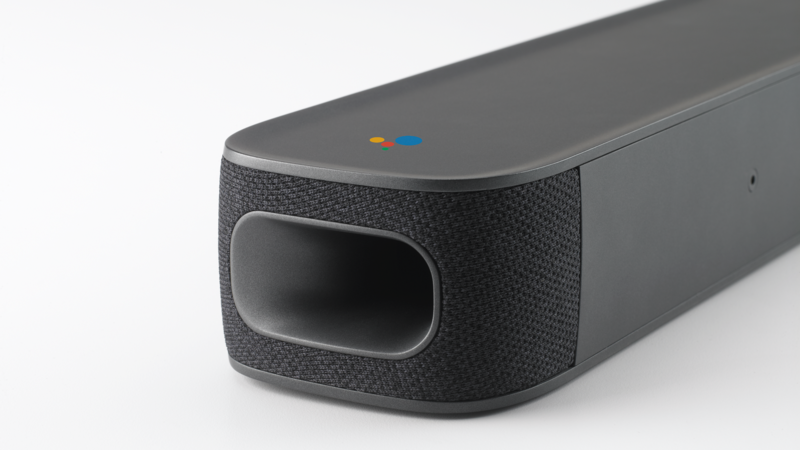 It functions as a soundbar, an Android TV box, and a Google Assistant speaker — all in one $400 package (with an optional $300 subwoofer). 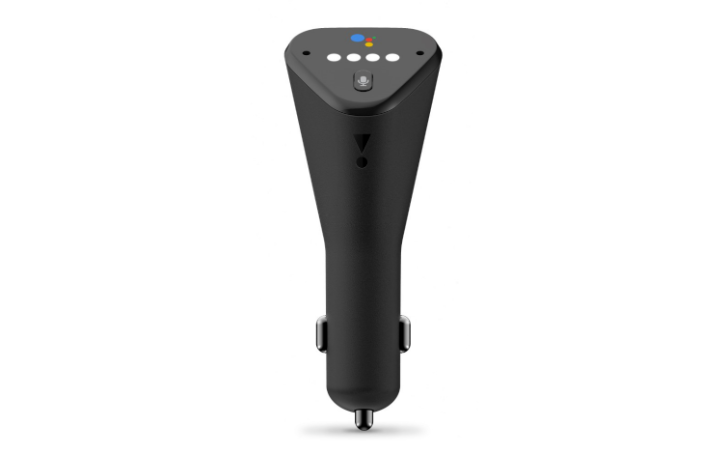 The first in-car Assistant device to come out of CES was JBL's Link Drive. It acts as a bridge between your phone and your car, with the ability to stream music and annouce navigation steps through your car's stereo (connected over Bluetooth or AUX). It's coming this spring for $59.95 — see our full post here. 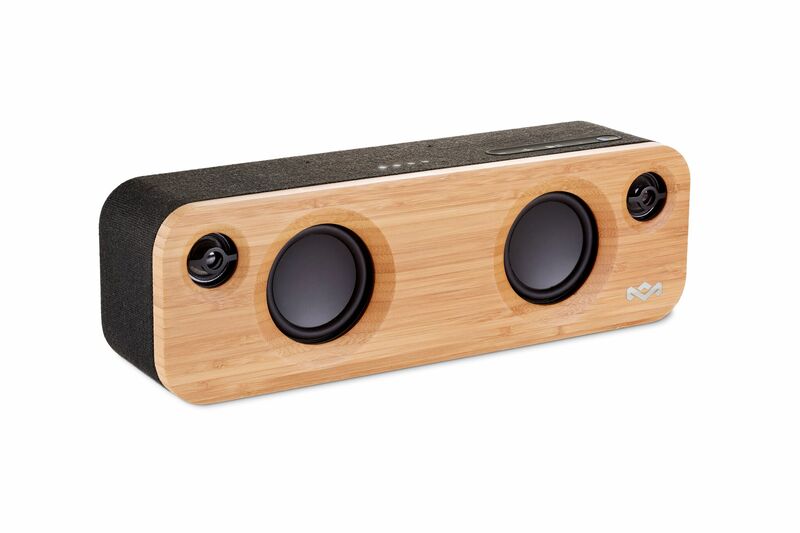 If you want a neat-looking Assistant speaker, the Get Together Mini from The House of Marley is a compelling option. It has a bamboo face plate, a fabric made of cotton and recycled plastic, and built-in Google Assistant. Full specifications aren't available yet, but the release date is set for August, and the price will likely be $199.99. Harman Kardon previously announced a massive lineup of Assistant-powered speakers at IFA 2018, and now they're all on sale. Each speaker can be used by itself, or as part of a 5.1-channel surround sound system. 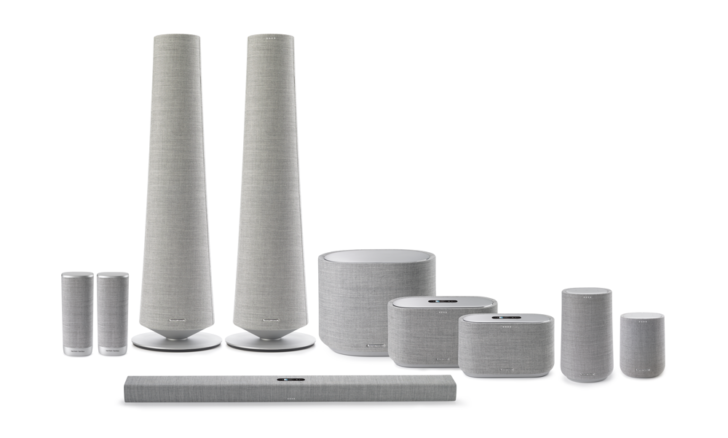 Prices range from $200 for the Google Home-sized Citation One to $2,500 for the pair of Citation Tower speakers. More information is available in our post. Jabra revealed a new pair of noise-cancelling headphones with both Google Assistant and Alexa — the Elite 85h. 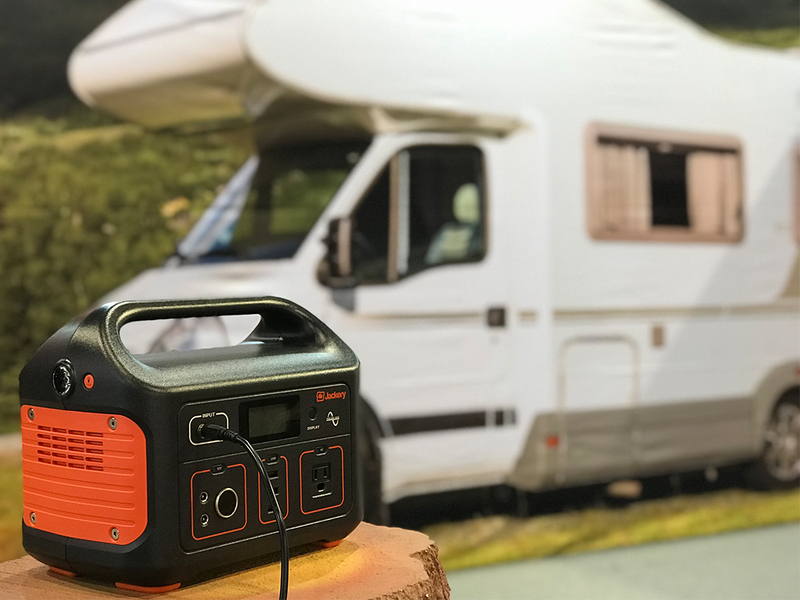 It has an estimated battery life of 32 hours (with noice-cancelling enabled), a rating of IP52, and a two-year warranty that covers water and dust damage. The price is expected to be $299, and pre-orders will start in March. 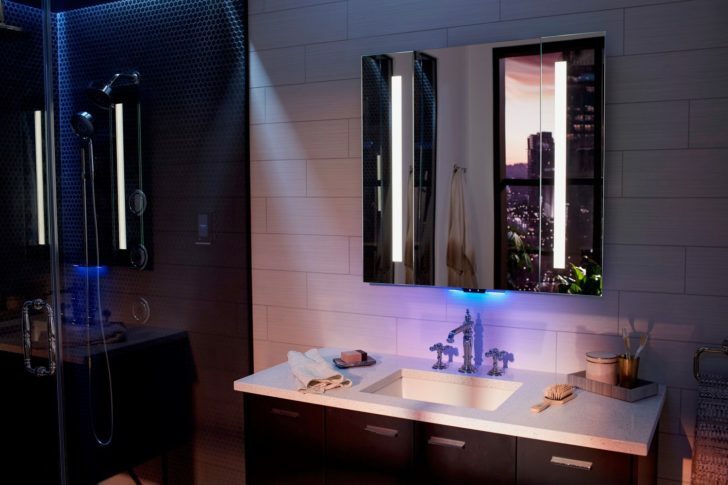 Among Kohler's many bathroom-related smart products at CES was the Verdera Voice Lighted Mirror. The Alexa version is already available, but it costs a whopping $1,665 for a 24" x 33" model, with the most expensive version being 40 x 33-inches for $2,165. A Google Assistant version is coming soon. Kohler also announced the Veil Lighted Collection, a toilet, bath, mirror, and three-piece vanity with complementary designs and synchronized lighting options. It can be controlled with Google Assistant, Alexa, and even Phillips Hue. Pricing starts at $199 for a motion sensor, up to $4,849 for the bathtub. TP-Link announced quite a few smart home products at CES, under its 'Kasa' brand. All of these are compatible with Google Assistant, Alexa, and other assistants/services. 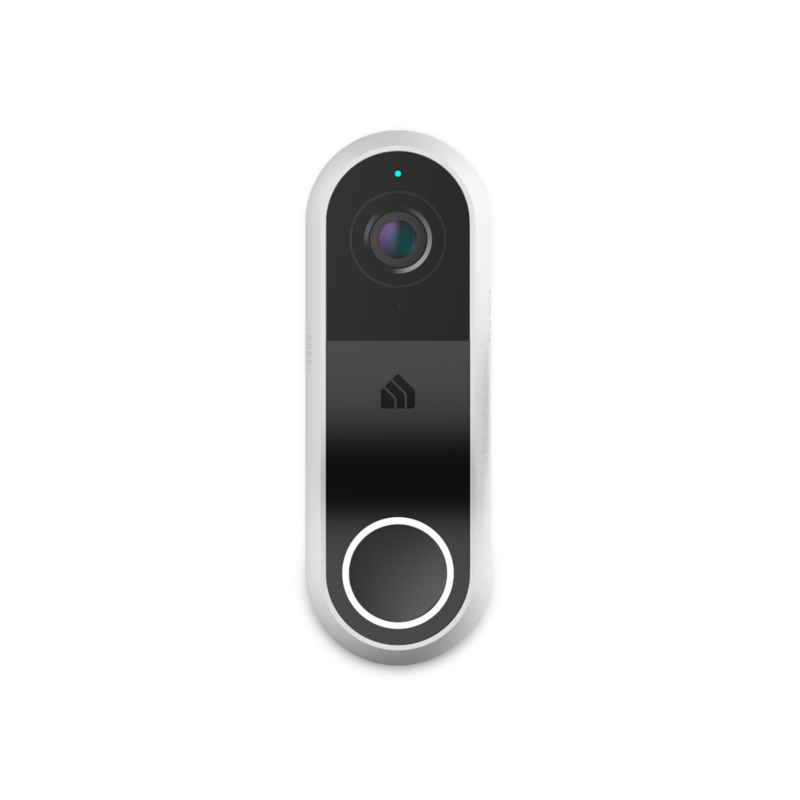 First is the Kasa Smart Video Doorbell (KD100), a product very similar to the Nest Hello. It has a 2K camera with HDR support, infrared LEDs for night vision, two-way communication, and face detection. 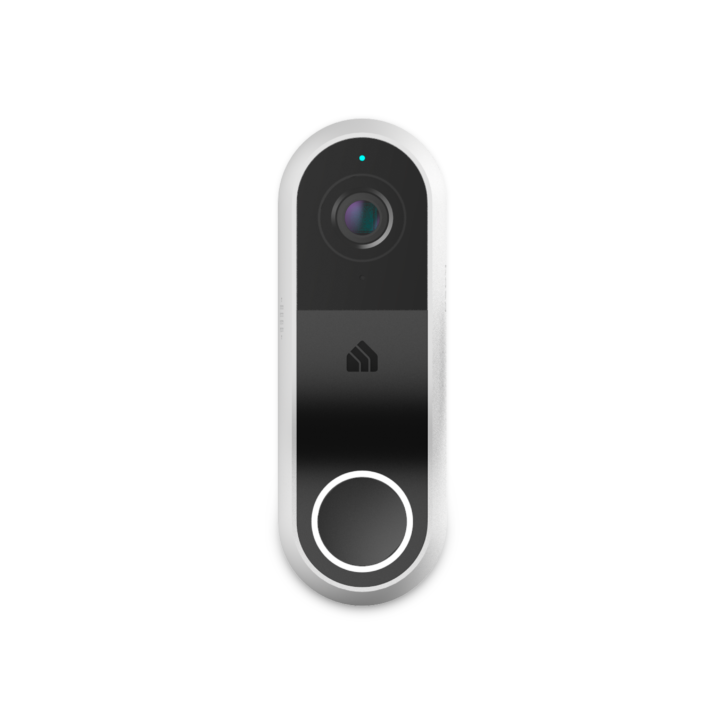 The doorbell will likely launch in the first half of 2019, and pricing is unknown at this time. Speaking of outdoor security, TP-Link also announced the Wire-Free Outdoor Security Camera System (KC300). It's sold in a pack of one, two, or three cameras, and it supports 1080p recording with two-way audio and night vision. 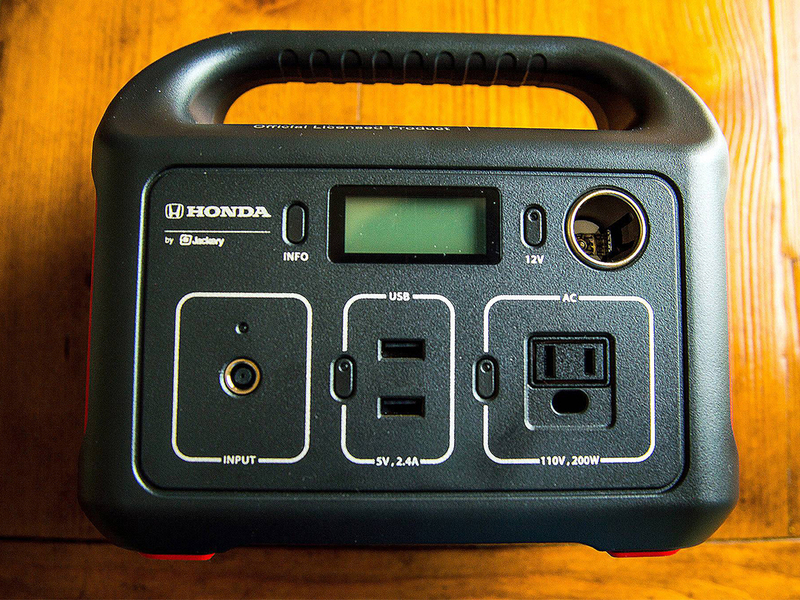 A hub isn't required, but if you do connect one, battery life is extended. The hub also adds "audio recordings that mimic occupancy." As with the video doorbell, the outdoor security system should launch in the first half of 2019, and pricing is unknown. If you need to protect the inside of your house as well, TP-Link also revealed the Spot Indoor Security Camera (KC100). It has 130-degree 1080p recording, two-way audio, and support for multiple activity zones. TP-Link says you'll be able to view a live feed on an Alexa smart display (like the Echo Show) or a Google Assistant smart display (like the Home Hub). The camera is expected to be released sometime this spring for $49.99. Moving onto smart outlets, TP-Link has a new one designed for outdoor use — the Wi-Fi Outdoor Plug (KP400). It has two plugs and is weather-resistant, but otherwise works identically to the company's indoor plugs. TP-Link also announced the Wi-Fi Power Outlet (KP200), which replaces the power socket in your wall. The former is expected to cost $44.99, and the latter will be $39.99. Both products should be available in February. The Wi-Fi LED Light Strip (KL430) should be released sometime in the first half of 2019. It's two meters long (6.6 ft), can be extended to up to 10 meters (32.8 ft), has eight controllable light sections, and supports multiple lighting effects. The last product TP-Link announced is a bit strange — the Wi-Fi Light Switch with Voice Assistant (HS230). It's a light switch with a built-in speaker and microphone for interacting with a voice assistant (the company told us they haven't decided between Alexa or Google Assistant). Whatever lights the switch are connected to also become smart lights. It's expected to launch in the first half of 2019. Smart displays are extremely useful in the kitchen, where you can play videos and flip through recipes with just your voice. Whirlpool announced its own Assistant smart display at CES, which promises to be IPX5 water-reistant. 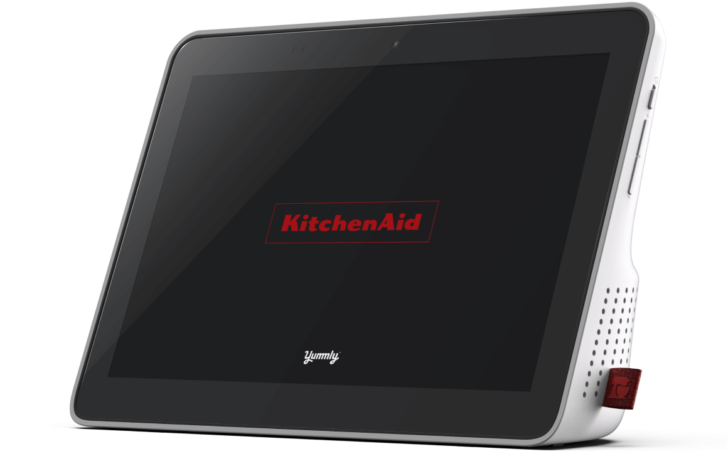 It also has a 10-inch screen and "exclusive" extra cooking content from Yummly. The KitchenAid Smart Display will likely go on sale in the second half of 2019, and cost somewhere between $200 and $300. Moving onto appliances, Whirlpool revealed the 'KitchenAid Connected Commercial-Style Range,' which combines an oven and stove in one unit. It uses a "unique bow-tie design" and convection fan to improve airflow, and will eventually support voice commands with Google Assistant and Alexa. LAS VEGAS, Jan. 9, 2019 /PRNewswire/ -- Cooking, for many, is an outlet for creativity, and KitchenAid is launching new products at this year's CES® to bring new possibilities to life for passionate home cooks. With the KitchenAid® Connected Commercial-Style Range, planned for launch in 2019, makers will be able to express creativity in the kitchen. The versatile range helps those whose love of the kitchen is a part of who they are to unlock their true cooking potential and achieve the results they want. "Our products are inspired by those who use them. In this case, that's people whose favorite room at home is the kitchen," said Christy Hoskins, senior brand manager for KitchenAid. "With this new KitchenAid range, we hope to encourage culinary creativity – be it testing a new recipe or tackling a challenging new cooking technique – among this passionate group." The upcoming release of the Connected Commercial-Style Range comes as KitchenAid highlights makers in its ongoing "Marks" campaign, which serves to celebrate the personal marks – physical, behavioral, emotional, or design-oriented – of those who bring passion to the kitchen. Ultra Power™ Burners: Allow users to melt and simmer food to their particular preferences. The middle burner is also easily removable, allowing a wok to fit precisely within the burner – making it easy for cooks to experiment with new flavors and cooking styles. 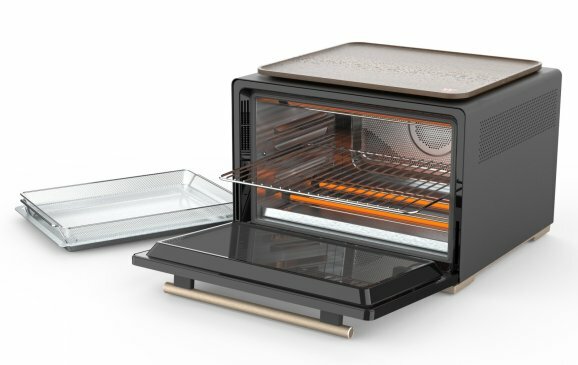 Even-Heat™ True Convection: With a unique bow-tie design and convection fan, Even-Heat™ promotes airflow ensuring the interior is heated to, and stays at, the desired temperature for consistent baking and cooking. With eight colors, outside of the classic stainless-steel finish, passionate cooks can express their individual style even when not making a meal. Users will also be able to alter the range color with a new door and kick plate to breathe fresh life into their kitchen. From January 8-11, CES® attendees can get up close to all Whirlpool Corporate innovations at booth #41925 in the Smart Home section, located at the Sands Expo Center. For more information on the brand's products and to join the conversation, visit kitchenaid.com/ces and follow #ConnectToMore #CES2019. *Wi-Fi & App required. Features subject to change. Details and privacy info at kitchenaid.com/connect. Appliance must be set to Remote Enable for remote control capabilities. ** Voice control availability may vary by region. Google is a trademark of Google LLC. Amazon, Alexa and all related logos are trademarks of Amazon.com, Inc. or its affiliates. CES® is a registered trademark of Consumer Technology Association (CTA)™. Since the introduction of its legendary stand mixer in 1919 and first dishwasher in 1949, KitchenAid has built on the legacy of these icons to create a complete line of products designed for those with a passion to make. Today, the KitchenAid® brand offers virtually every essential for the well-equipped kitchen with a collection that includes everything from countertop appliances to cookware, ranges to refrigerators, and whisks to wine cellars. To learn more, visit KitchenAid.com or join us at Facebook.com/KitchenAid and Twitter.com/KitchenAidUSA. The latest product to come out of WLabs, an 'innovation incubator' in Whirlpool, is the Smart Countertop Oven. It's large enough to cook an entire chicken or a 12-inch pizza, and offers cooking status notifications and integration with Google Assistant and Alexa. It will be available for pre-order "in a limited quanity" at WLab's website, with an MSRP of $799. LAS VEGAS, Jan. 8, 2019 /PRNewswire/ -- WLabs™, Whirlpool Corporation's innovation incubator, will be introducing its latest smart kitchen solution in 2019: the Smart Countertop Oven. Engineered to fit easily on your counter, the Smart Countertop Oven's leading food identification technology automatically recognizes various types of food placed inside, and sets the time and temperature needed for a personalized and optimal result. "This new smart oven is about making cooking easier, intuitive and customized. It takes the guesswork out of cooking," said Doug Searles, general manager for WLabs. "The oven also demonstrates how at WLabs, we harness the 107-year heritage of Whirlpool Corporation in the home appliance industry, and apply that expertise to develop innovations that truly break the mold and unlock the next generation of products for the home." The oven's food identification technology automatically recognizes the food type and temperature for select foods, and selects the appropriate cooking algorithm designed specifically for that food. The algorithm controls the time and temperature for perfectly cooked broccoli, chicken, pizza and more, regardless of whether it's frozen or fresh. The powerful convection heating system eliminates the need to preheat for certain food types and maintains a uniform temperature throughout the oven to evenly cook the food. The Smart Countertop Oven is engineered to be small enough to fit on your counter, yet large enough to cook a whole chicken or a 12-inch pizza. It features a touch-screen interface, stainless steel interior, and comes with a wooden cutting board. The Smart Countertop Oven will be available for pre-order in a limited quantity at wlabsinnovations.com/smartoven with an MSRP of $799. It will make its debut at CES® 2019 in Whirlpool Corporation's Booth #41925 in the Smart Home section, at the Sands Expo Center. For more information on the corporation's products and to join the conversation, visit ces.whirlpool.com and follow #ConnectToMore #CES2019. * WiFi & App required for connected features. Features subject to change. Details and privacy info at whirlpool.com/connect. Appliance must be set to Remote Enable for remote control capabilities. ** Select frozen foods only. † Voice control availability may vary by region. Whirlpool Corporation (NYSE: WHR) is the world's leading major home appliance company, with approximately $21 billion in annual sales, 92,000 employees and 70 manufacturing and technology research centers in 2017. The company markets Whirlpool, KitchenAid, Maytag, Consul, Brastemp, Amana, Bauknecht, Jenn-Air, Indesit and other major brand names in nearly every country throughout the world. Additional information about the company can be found at WhirlpoolCorp.com, or find us on Twitter at @WhirlpoolCorp. 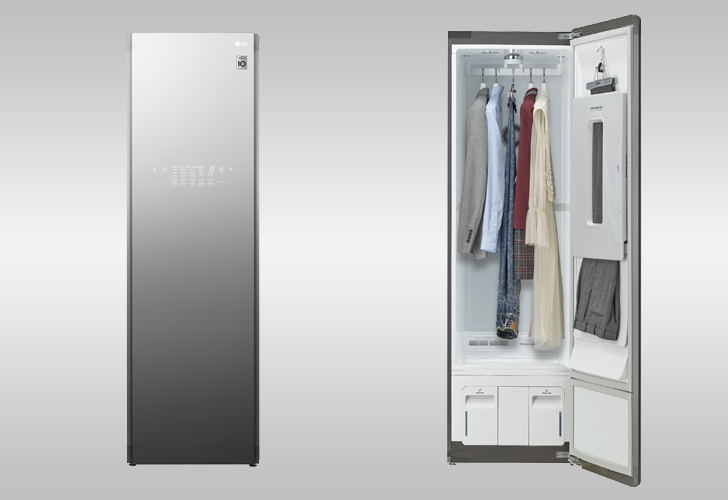 This bad boy can wash and dry clothes without any human intervention, with automatic detergent measurement and remote access through a mobile app. It's available to purchase now, but the Google Asistant and Alexa integration won't arrive until later this year. "Removing little steps in our daily routines makes a surprisingly big difference, especially when laundry can keep you tethered to appliances all day," said Nelly Martínez Garza, laundry brand manager, Whirlpool brand. "We're changing how laundry is done with the new Whirlpool Smart All-In-One Washer and Dryer, which eliminates transfer between the washer and dryer. The technology allows families to get a load of laundry done - wash to dry - without multiple trips to the laundry room." Load & Go™ XL Plus Dispenser: Add a few extra minutes back into a busy day by skipping a step - measuring and filling detergent. Simply add detergent and fabric softener once and skip refills for 40 loads.† Automatic dispensing ensures each load gets the right amount of detergent, at the right time, giving clothing precise fabric care. Voice Control with Compatible Voice-Enabled Device: Coming soon in 2019, you will be able to keep up with laundry no matter what, even when in the middle of cooking dinner, with simple voice commands using a Google Assistant or an Amazon Alexa-enabled device. You will be able to access features of the Whirlpool® Smart All-In-One Washer & Dryer from the comfort of the living room using Amazon Alexa and Google Home, or Apple Watch.‡. Launching in 2019, Task Manager: Manage laundry day from anywhere. The Whirlpool® app will allow users to assign family members tasks like transferring a load to the dryer or folding clean clothes, which they'll receive a notification about on their smart mobile devices. Coming soon, Amazon Dash Replenishment, allowing users to automatically reorder laundry supplies from Amazon when running low so supplies never run out. For more information on the brand's care-centric product innovations and to join the conversation, visit ces.whirlpool.com and follow #ConnectToMore #CES2019. * WiFi & App Required. Features subject to change. Details and privacy info at whirlpool.com/connect. Appliance must be set to Remote Enable for remote control capabilities. † Model WFC9820H. Based on an 8-lb load. ‡ Voice control availability may vary by region. Google is a trademark of Google LLC. Amazon, Alexa and all related logos are trademarks of Amazon.com, Inc. or its affiliates. Apple is a registered trademark of Apple Inc. CES® is a registered trademark of Consumer Technology Association (CTA)™. For more than one hundred years, Whirlpool brand has been inspired by how people care for their families. Whirlpool brand is designing home appliances that are focused on improving how families give and get the care they need with the latest technologies and innovations – whether that means flexible refrigerator storage for all types of family needs, induction technology for efficient cooking and easier cleaning, or laundry pairs that sense and adapt to clothes. Whirlpool brand is part of Whirlpool Corporation, the world's leading manufacturer of major home appliances. Whirlpool Corporation is also one of Habitat for Humanity's largest corporate partners for over 15 dedicated years, donating a refrigerator and range to every new Habitat for Humanity home built in North America. For more information on Whirlpool, please visit whirlpool.com/everydaycare or find us on Facebook at facebook.com/whirlpoolusa or Twitter at @WhirlpoolUSA. Additional information about the company can be found at whirlpoolcorp.com. Nvidia first teased a series of gaming monitors with Android TV built-in at last year's CES, and now you can actually pre-order one. The Nvidia x HP Omen 65" 4K gaming monitor is the first of its kind, with a 120Hz refresh rate and HDR support. It has an entire Nvidia Shield TV built-in, so you get Google Assistant and all the Android TV apps your heart desires. The HP Omen model will become available in February, for a measly $4,999. General Electric already sells smart lights designed specifically for the Google Home, and now the company has announced a few more products under the 'C by GE' brand. 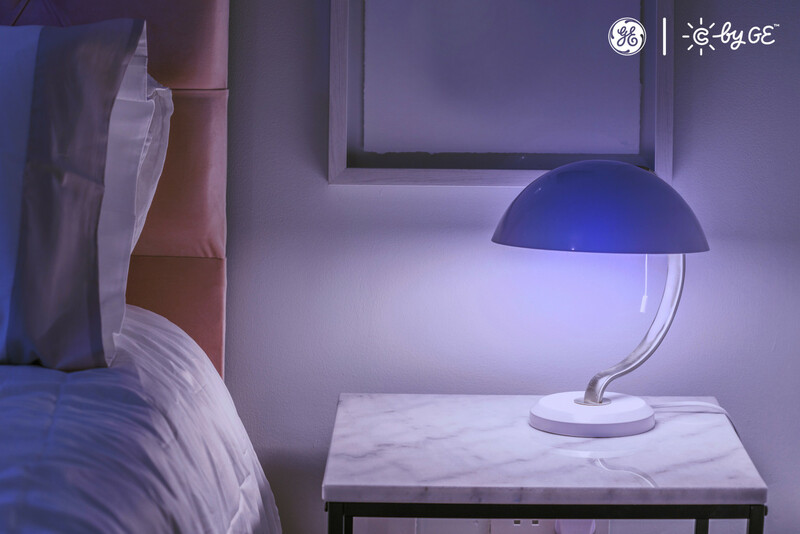 There's an LED light strip, a light switch, a smart plug, colored bulbs, and a motion sensor. The lights will apparently cost between $40 and $75 and the smart plug will be $25, but we don't know prices for the switch or motion sensor yet.